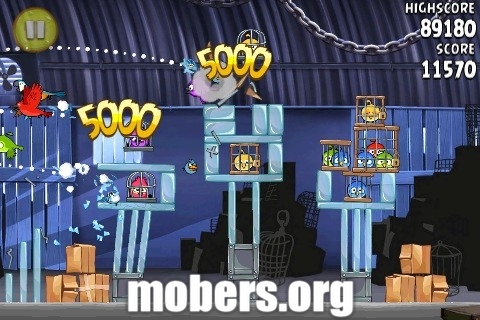 Angry Birds : Rio (v1.0.0) — Mobers.ORG — Your Daily Source For Mobile FUN! In Angry Birds Rio, the original Angry Birds are kidnapped and taken to the magical city of Rio de Janeiro, where they eventually escape their captors and set out to to save their friends, Blu and Jewel – two rare macaws and the stars of the upcoming Fox motion picture, Rio. Angry Birds Rio will pair the physics-based gameplay of the original game with unique twists based on the film.The most exciting of avian adventures continues! Help the Angry Birds to free their friends and defeat the evil smugglers! Stay tuned for further fun episodes!